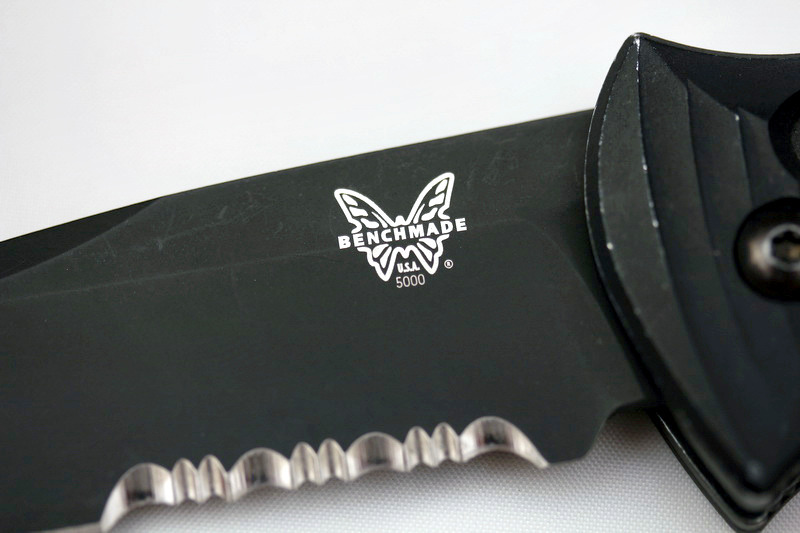 According to the Benchmade website the Presidio features a multi-directional positive grip defines these tough, reliable folders, Auto AXIS® pull release with integrated safety, 154CM stainless steel blade (58-61hrc), Black anodized, machined 6061 T-6 aluminum handle with double 420J liners and a reversible tip-up pocket clip. Below are the specs from the website, so you do not have to go there to see them. 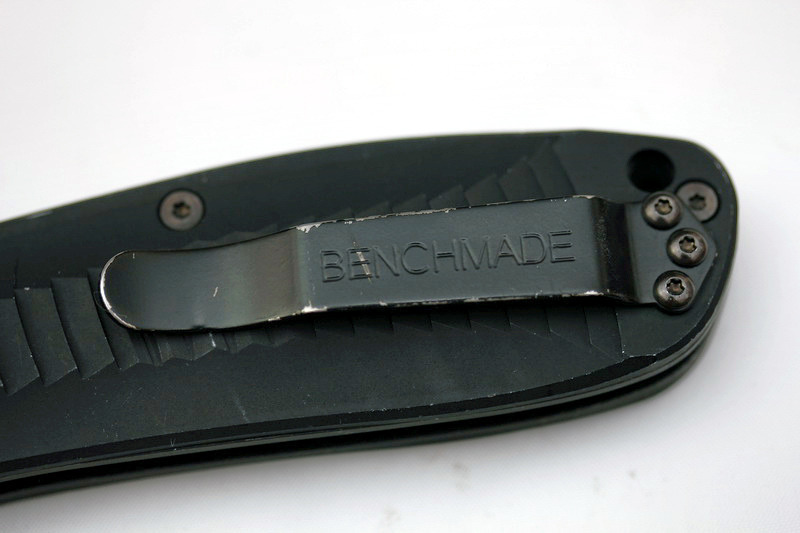 I needed to purchase a new EDC blade, since my last one, a Benchmade Infidel was getting retired. 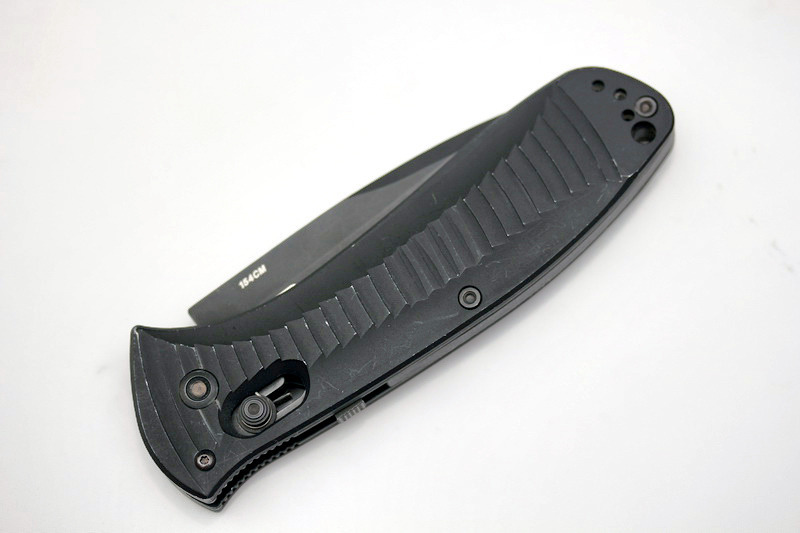 I was looking for another OTF or auto folding blade, and since I had several very good experiences with Benchmade blades, I figured it was a good idea to keep on going. 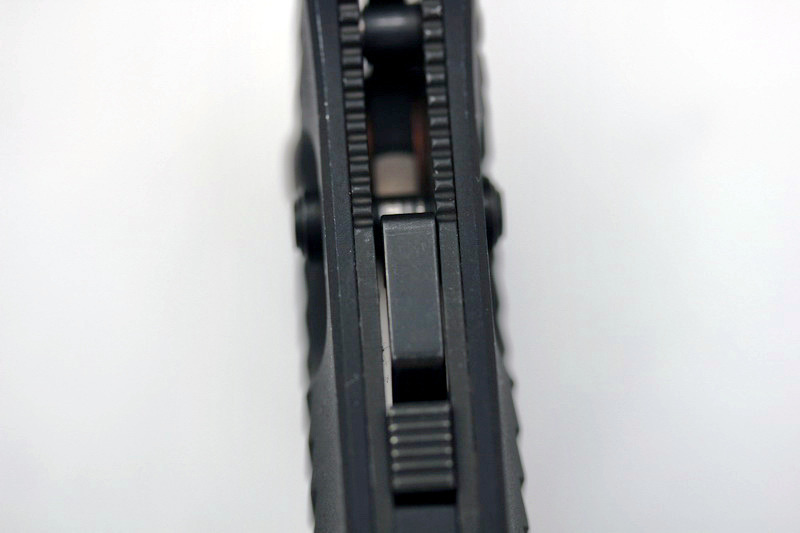 One of my issues with the Infidel was that I needed a serrated blade several times and did not have it, so that was definitely going to be on the agenda. 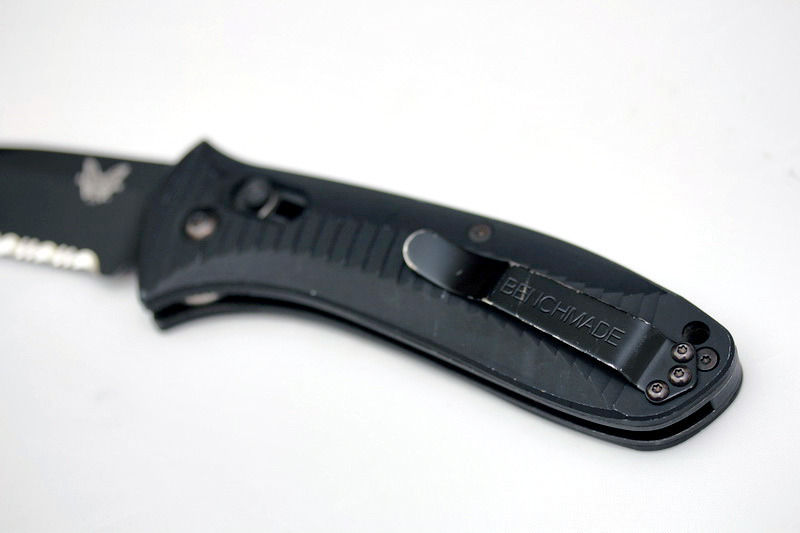 I wanted to get an auto blade, and there were a few other options, which I will talk about in the end of the review. 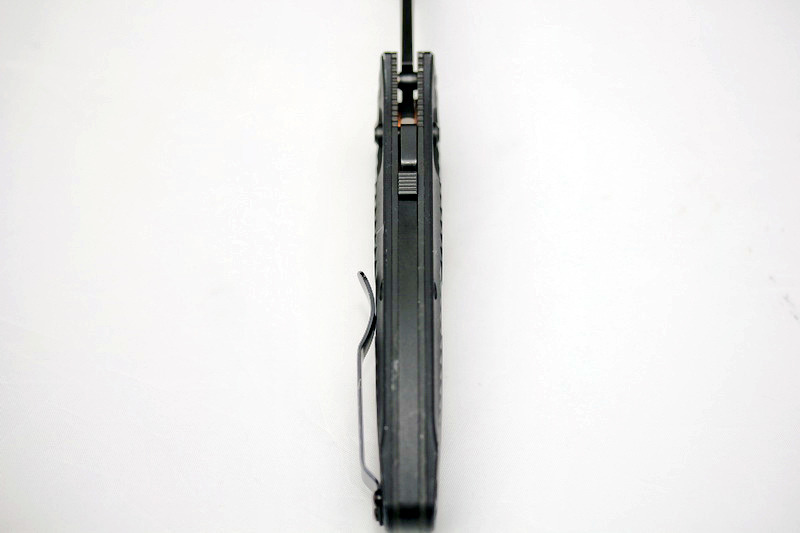 When the box came in the the knife was double-boxed, and inside a molle pouch. Along with the knife there was a plastic malice clip and a set of generic instructions about the knife. Initially the grip texture was not impressive, but then it grew on me. Out of the box the blade was pretty sharp, it cut the hair on my arm with no issue. The clip was on the wrong side so I unscrewed the screws and I added some red loctite, no issues with it, has not moved since. I have carried this blade everyday since I bought it on 5/12, I wanted to get a good year's use out of it before I posted anything. 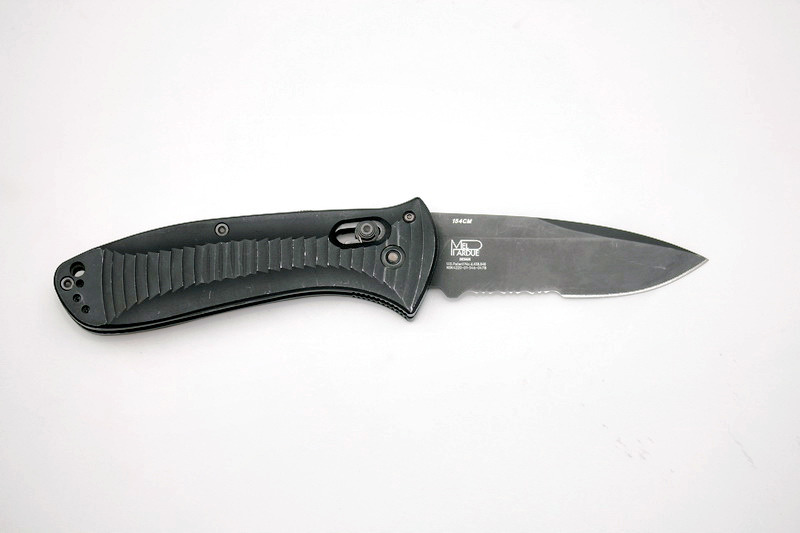 The Presidio is a jack of all trades, much like other knives in its class, it does many jobs very well and those jobs it does not do well I do not really do that often. I have used this blade to cut everything from bread to seat belt straps and it has yet to disappoint me. Through its use I have had it sharpened two times, one time after about 5 months of use and then again after another 5 months of use. Not that it really needed it, but I had the opportunity to so I took it. 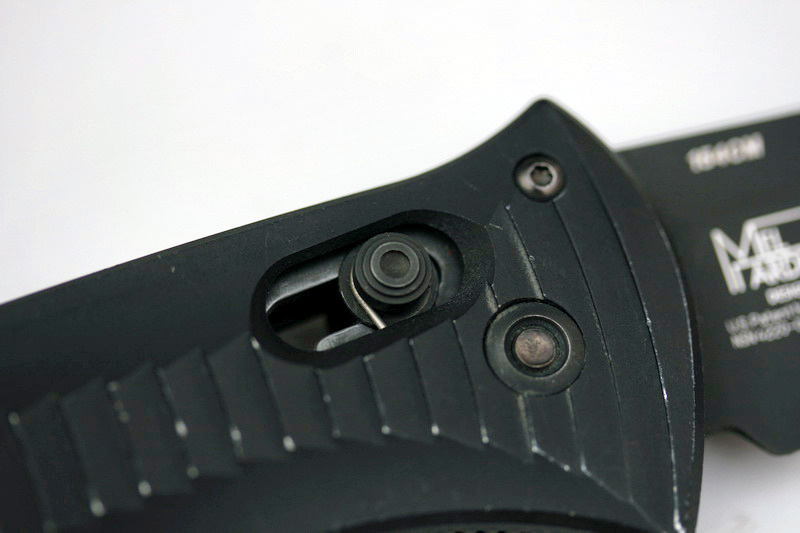 Though I have not had the serrations sharpened as of yet, nor has the Presidio required it. 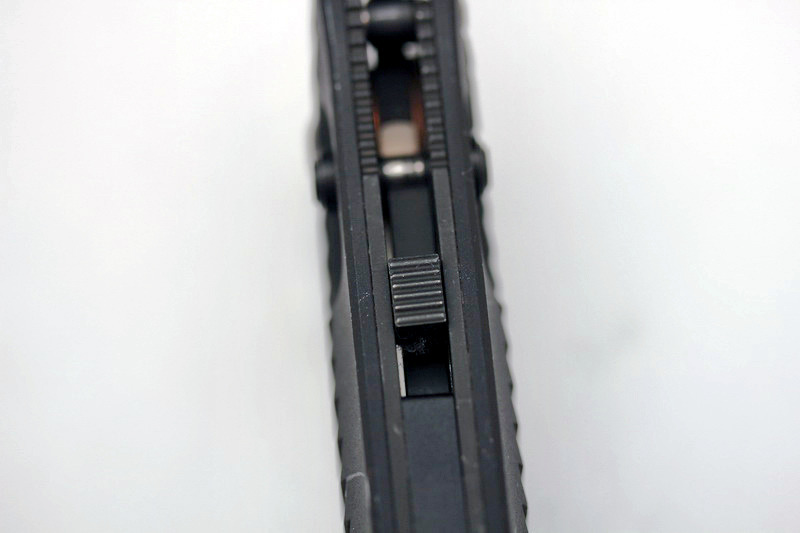 The clip has held up and is pretty damn sturdy, as has the rest of the knife. 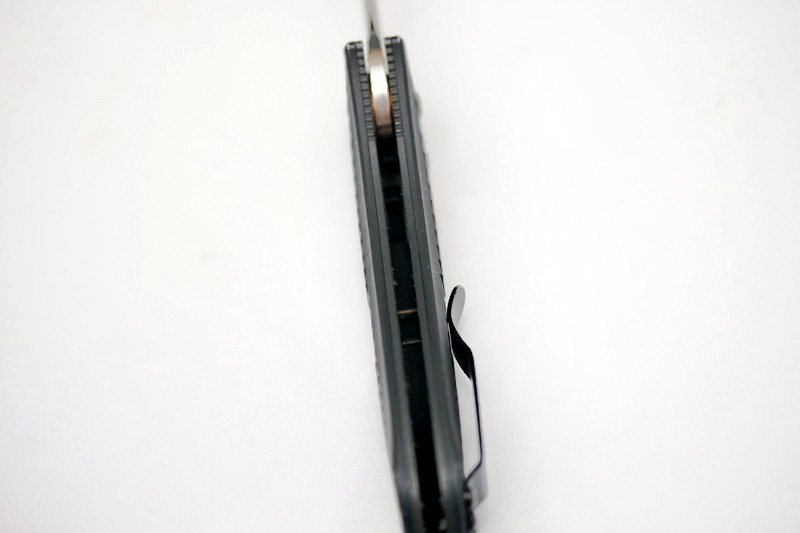 The Auto AXIS system of the Presidio, which Benchmade puts into many of their auto blades is very sturdy. 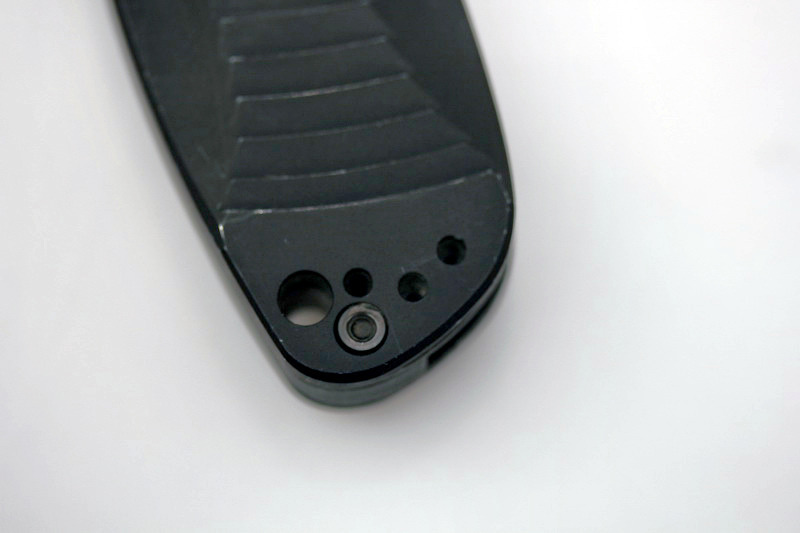 The blade still snaps into place when deployed from the Auto AXIS knob. 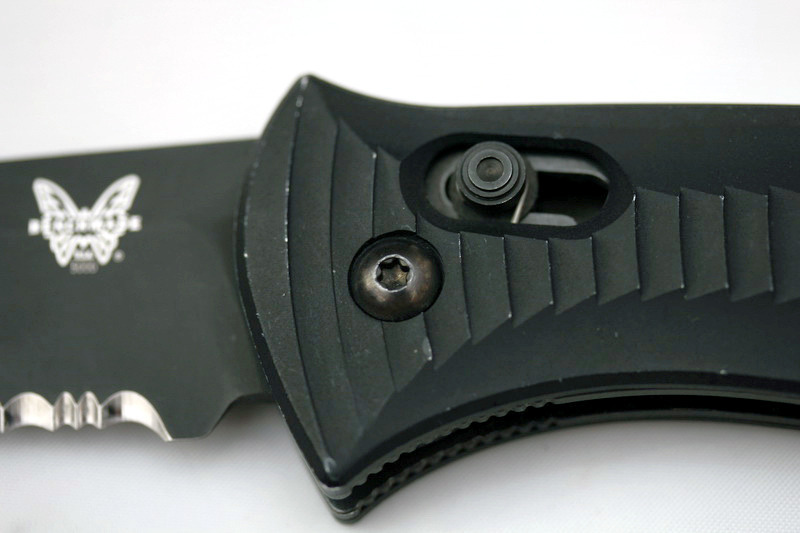 The integrated safety works very well, it has never disengaged on its own and I have dropped it several times with the safety on and off and it has never accidentally deployed the blade. There is very little I need to worry about with this blade. It is as much of a sure thing as there can be. I have little issues with the Presidio, it has not required any sort of maintenance, and has been effective in its use. 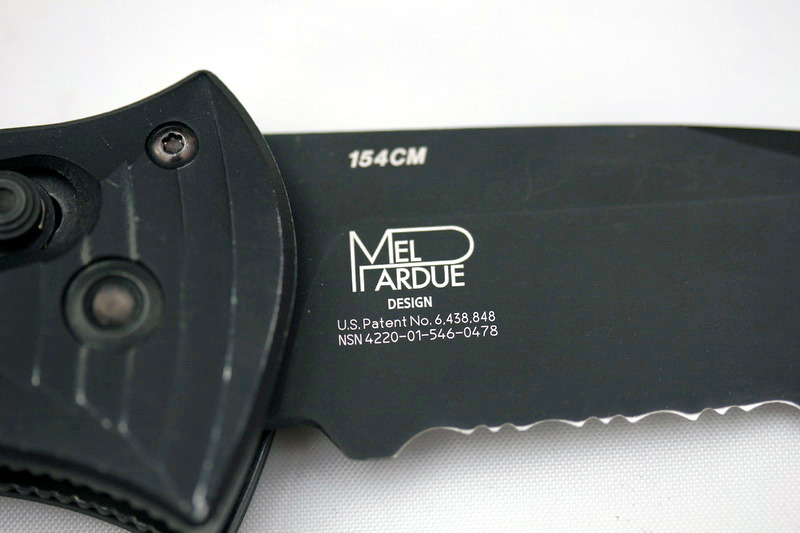 The blade has the Mel Pardue label and features a drop point design. As much as I like this blade, it is not for everyone, literally since it is a restricted item. If you want to purchase one, make sure you are legally allowed to own and possess an automatic knife, check with your local city/state laws to make sure. 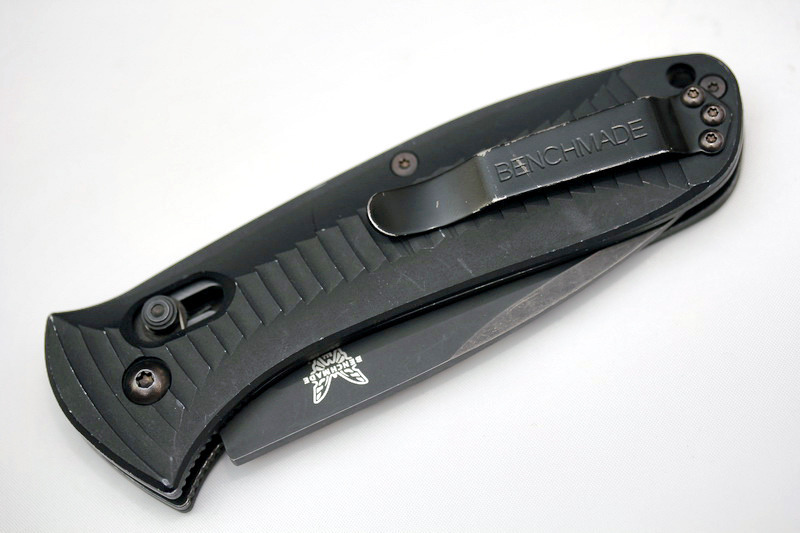 There are other Benchmade blades I considered the Adamas Auto, Auto Bedlam, Auto Rift, and the Contego, specifically because it has a built in glass breaker. 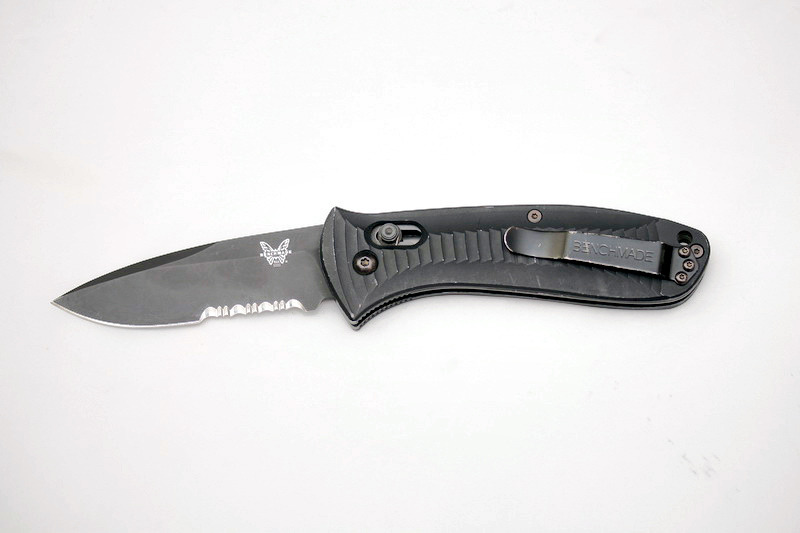 Of course blade size is also a factor and this one fit the bill being just short of 4 inches so I can carry it in pretty much any state (as most are 3.5 or 4 inches max). There is also the Auto Presidio Ultra which I passed up because it did not have an NSN number. I will probably continue to use it until it breaks or until I find a better blade, which is doubtful.